Rolling Step Stool, Red, 17" Top Step Height, 500 lb Capacity, Steel Powder Coated Finish. 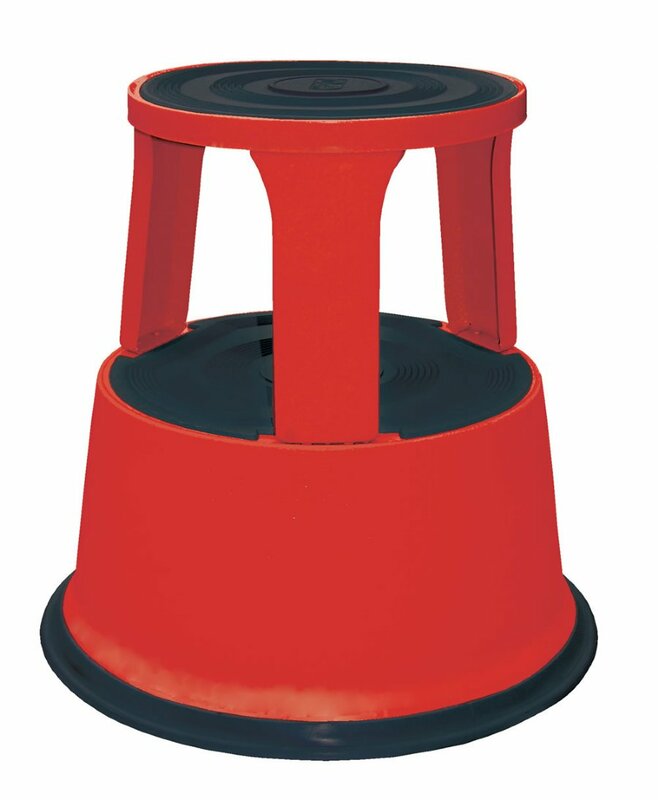 Red rolling step stools are convenient and easy to use. Spring loaded casters along with a rubber ring around the base provide the extra grip needed when being used. Each step includes a rubber surface. Steel construction with powder coat finish. Capacity is 500 pounds. Easily assembles without need for tools.